Most experts and vendors agree a hybrid cloud bridging on-premises clouds with public clouds is the most popular way to go for cloud storage. 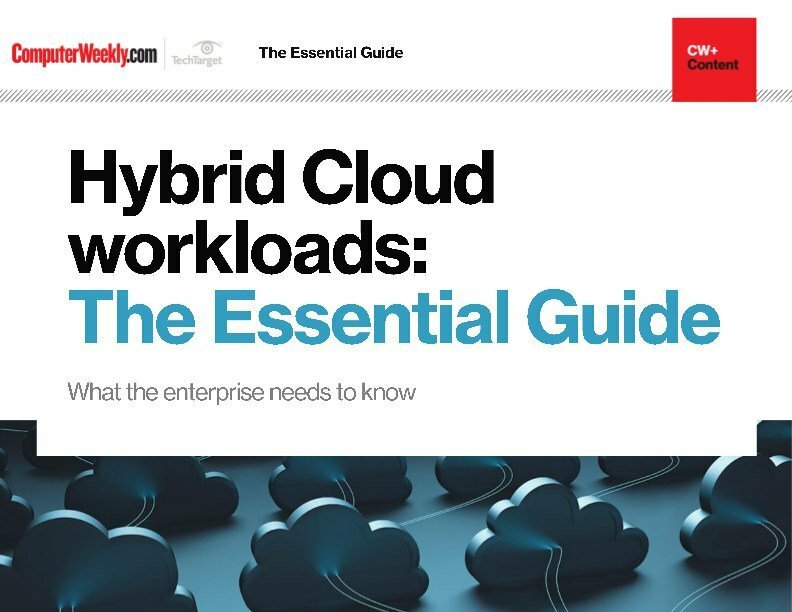 This handbook examines the tools and technologies required to make hybrid cloud implementation work. 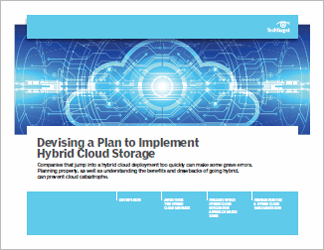 Hybrid cloud implementation requires a sound management strategy that starts with determining which applications and data will reside on premises and those that will live in the cloud. 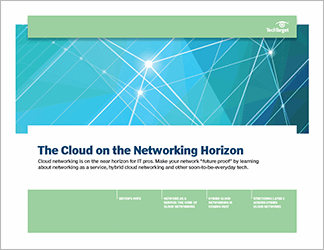 IT administrators also need to carefully select the right public cloud service and determine how it matches with the private, on-premises cloud. A hybrid cloud can consist of multiple private and public clouds. 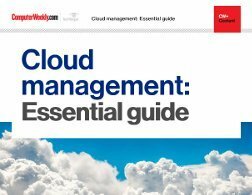 Key tools for the cloud are virtual or physical appliances, virtual switches and hybrid cloud management products. There are numerous appliance choices in the market, but hybrid cloud management tools are still evolving. Managing a hybrid cloud implementation has become the trickiest part of the model. IT administrators need to determine if they want a "single pane of glass" approach to cloud management tools or to use a collection of specialized tools that are designed for a specific operation in the cloud. A consolidated management tool is best when you need to manage budgets across multiple providers or identities of users who access images running in multiple clouds. Specialized tools are good when specific weak spots need to be addressed. Often, a combination of specialized programs and custom coding is key; while, in other cases, a cloud software platform is a better option. 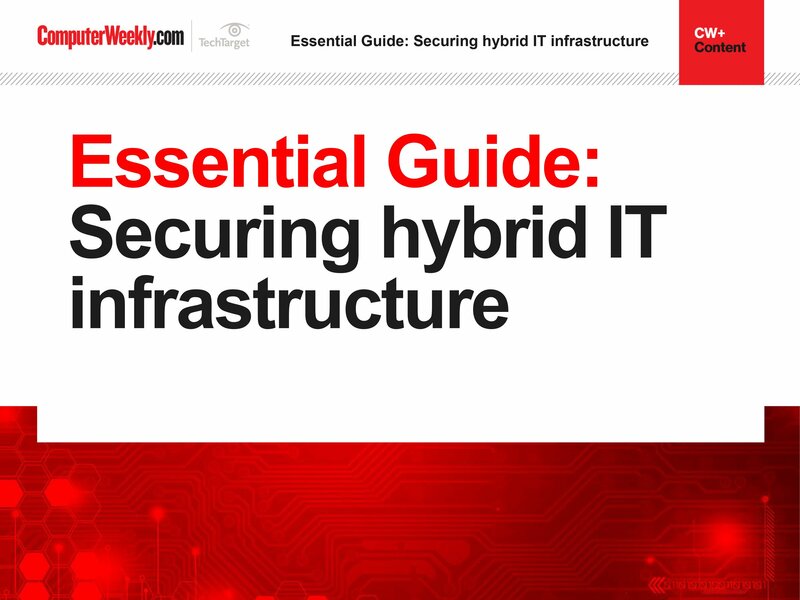 In general, a hybrid cloud is a more complex model to manage. IT administrators need to find a public cloud provider that supports the on-premises cloud API so that migrating virtual images between the private and public cloud is easier. They also need to find a cloud vendor that has the same cloud stack and cloud API for both clouds or find a third party that has software that can be tailored to migrate virtual images between the two types of cloud.